There’s so much going on in the triumphant second season of Netflix’s feminist powerhouse, GLOW that it’s hard to even know where to start. Just know, if you enjoyed even a second of Season 1, you will adore Season 2. This round picks up a few months after the Ruth (Alison Brie) directed pilot secured the future of the show, with the cast joined by newcomer Yolanda (Shakira Barrera, a DELIGHT) returning to finally shoot the series. Between Yolanda’s unexpected addition, Sam’s (Marc Macron) inadequacy-fueled mood swings, Debbie’s increasingly abusive treatment of Ruth, and some questionable contracts, it’s a wonder anyone has any time for any wrestling. And arguably, they don’t. There is still plenty of wrestling but in a smart move, the in-ring time is scaled back just enough to allow more time for the rest of the lovable misfits of GLOW. If there’s one thing GLOW struggled with last year, it was balancing the storylines of the expansive cast, and developing some of the social commentary introduced. This time around, the writers have absolutely found their feet, focussing just enough on all the right places. Of course, Ruth, Debbie and Sam get the lion’s share of screen time, though it is none of it wasted. Ruth has a rough, rough ride as the show finally starts to shoot, with her try-too-hard tendencies rubbing Sam the wrong way, and her budding romance with the adorable Russell (Victor Quinaz) sending Debbie’s fragile mental state tumbling, at Ruth’s personal cost. In our post #MeToo world, Ruth is handed the show’s nod to Hollywood sexual harassers. Don’t worry, GLOW hasn’t gone The Handmaids Tale levels of dark just yet; it simply shines the spotlight not only on the issue of harassment, but also the attitudes from unexpected places that can normalise it. Debbie doesn’t have it much easier, though it’s safe to say she may not come off as sympathetically to some as she did last year. Especially, not once she puts Ruth in the hospital. Debbie has always hidden her fragility behind a veneer of confidence and the privilege afforded to her by being gorgeous and smart, so it should come as no surprise that despite her triumphant rejection of cheater, Mark (Rich Sommer) in last year’s finale, Debbie is losing her mind, as the reality of her divorce hits her. 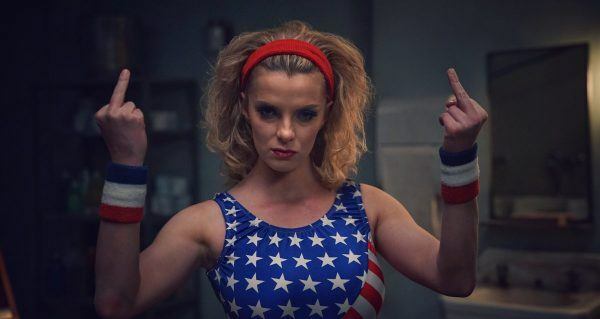 Betty Gilpin honestly steals the entire show, something she came dangerously close to doing last season, and it’s her performance alone that keeps Debbie’s from morphing wholesale into a villain. Debbie is so deeply human and while you will recoil from some of things she says and does, you’ll be surprised with how invested you remain in her being okay. While Ruth and Debbie get stronger, developing much needed edges and sharp corners, Sam is busy softening. His newly revealed daughter, Justine (Britt Baron) has moved in, doesn’t go to school, and they eat pizza for dinner every night. In a refreshing change from series that insist on keeping their mean characters mean, Sam has actually turned a corner. It’s not a fast turn and he takes time to find his groove, but he sends his daughter to school, gets her to join clubs, and by the time her mother finally arrives to retrieve her runaway kid, Sam actually argues for her staying with him. Elsewhere, it would appear the writers have a list of every issue they never got a chance to develop last year and are studiously working their way through, but this is GLOW, so it plays onncreen much more organically. Tammé (Kia Stevens) has to deal with her Stanford-attending son finding out about her new job, and Cherry (Sydelle Noel) is confronted with the reality she may not be enough of a ‘real’ actress for her new TV show, forced to relax her natural hair as her part is paired down to almost nothing. Arthie (beloved, Sunita Mani) is still deeply uncomfortable with her racist and offensive ‘terrorist’ character, and when a chance at transformation is stolen from her, Arthie finds her own way to be happy. I point blank refuse to say anything that might spoil her storyline, because it should be experienced fresh. Just be prepared to cry happy tears. Be prepared for sad ones, too, because GLOW has a special kind of skill for bringing reality crashing down hard on the sequins and shimmer tights. Much has been said on a certain … occurrence, late in the season. Much has been said on the spoiling of said occurrence. As above, I won’t say too much, because viewers deserve the chance to come at it fresh. Just know, one minute you will be laughing and cheering as two of the best characters get drunk and silly together and then literally, thirty seconds later, you will cry so hard you will wonder if you can die from sobbing. There is one particular line from the scene in question that has haunted me. See if you can guess which one. But, all is not doom and gloom. Season highlights include Sheila emerging as a comedic genius with amazing insights into popular media (did you know Cheers is all about an invisible woman named Vera? 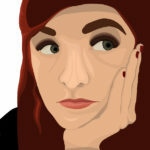 ), the on-the-spot invention of Liberty Belle’s daughter, perfectly named Savannah Rose, and a surprise wedding with some … labyrinthine logic behind it, but you’ll get there. And of course, the heaps and heaps of female empowerment. There’s an episode which is itself an episode of the show we watch the gang make, with the sketches and skits that made the original series so beloved. Oh and for fans of Season 1 breakout, Bash, he is back and better than ever. 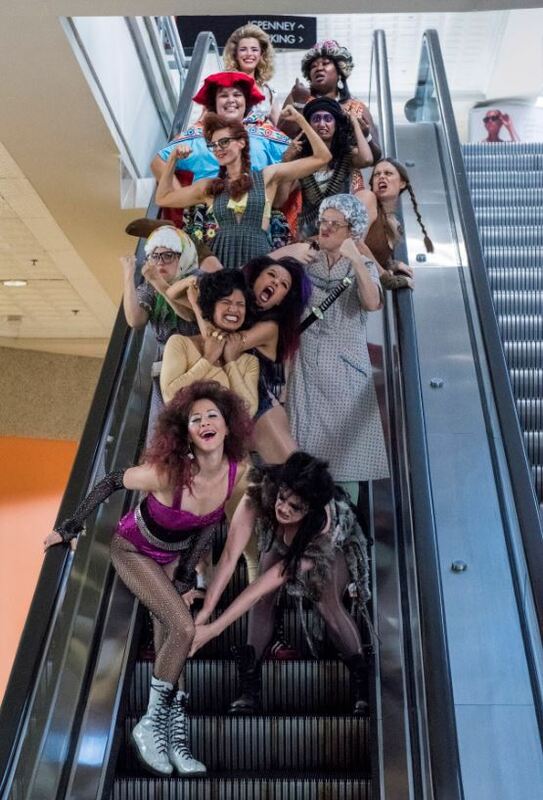 GLOW won our hearts by managing the rare skill of mixing real drama, excellent comedy and madcap insanity, turning out something powerful, funny, and real. If you’re not watching, you really, truly are missing out on one of the best shows in the last decade, by far. Both season of GLOW are available on Netflix now.